To play the media you need to update your browser to a recent version. Mikey Mo drops another banger and this one is FREE! 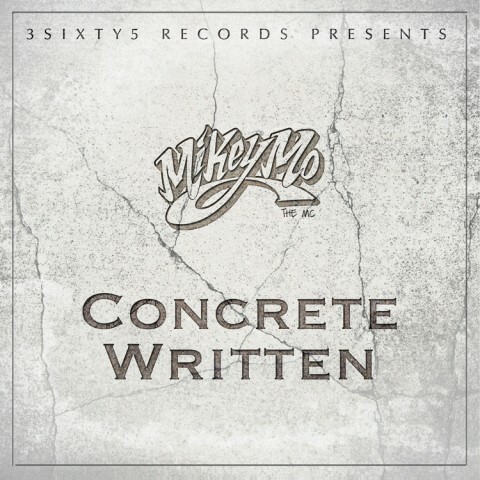 "Concrete Written" is a free EP produced by RBNG. This is a little taste of what's to come for his next album. Download the free EP here! Mixed & mastered by Justin Weiss at Trakworx, San Francisco, CA. Recorded by Jim The Cleaner at 3sixty5 Studio, San Leandro, CA. Album design by Cris Bowles. Join Mikey Mo's newsletter for new release updates, upcoming shows and latest news. Copyright © 2013 3sixty5 Records, LLC. All rights reserved. This website and all content is the property of 3sixty5 Records, LLC.